Nutiva Organic Hempseed is organic, raw and shelled with 33% protein by weight along with omega-3s and minerals. 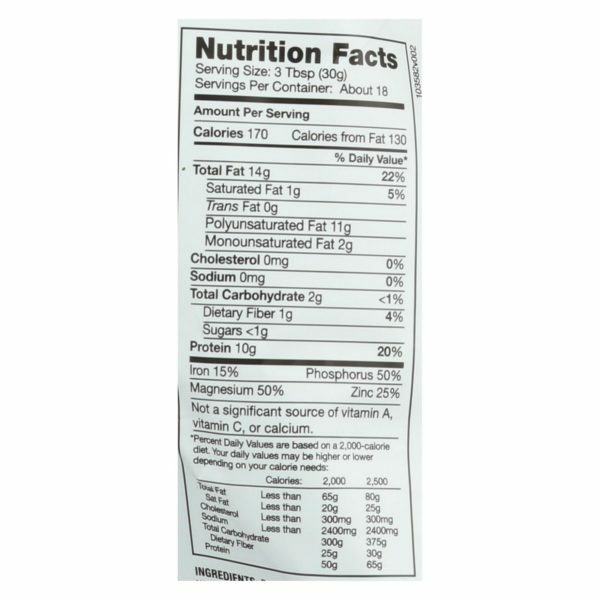 With a delicious, nutty flavor that’s similar to pine nuts, it’s perfect for sprinkling on salads and in smoothies or enjoyed straight out of the bag. This hempseed is vegan, non-gmo and usda organic so you can feel good about eating it. 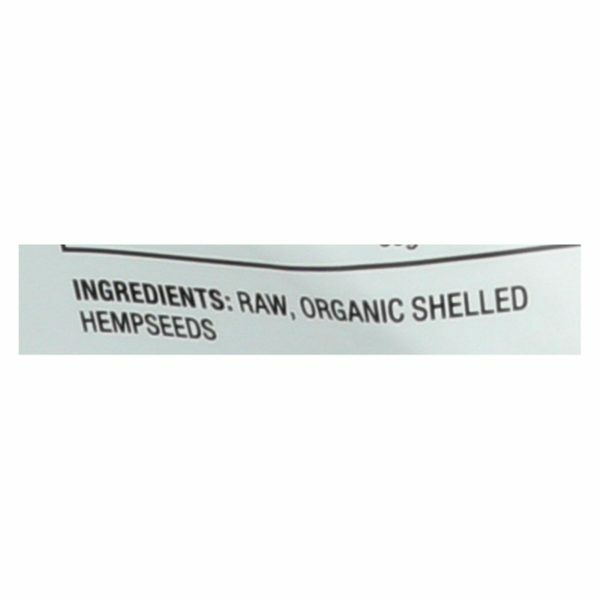 Rich in protein, omega-fatty acids and fiber, Nutiva Organic Shelled Hempseed is loaded with all 20 amino acids, including the nine essential amino acids that the body does not manufacture and can only be derived from food. Our Organic Hemp Seed contains the perfect 3:1 ratio of Omega-6 linoleic acid and Omega-3 linoleic acid. This densely nutritious food is an excellent addition to the diet of anyone looking for plant-based protein, and is preferred by many vegetarians and vegans. Hemp protein is very digestible, making it a great choice for sensitive diets. Omega and nutrients dense: Nutiva Organic, Shelled Hempseed is a sustainable source of amino acids, fatty acids, protein, and minerals. Compatible with many diets: Nutiva Organic, Raw, Shelled Hempseed is just right for vegetarian, vegan, whole food, paleo, ketogenic, and gluten-free diets. Packaging designed for freshness and low eco impact: Nutiva Organic, Raw, Shelled Hempseed is packaged in safe, convenient, BPA-free packaging. 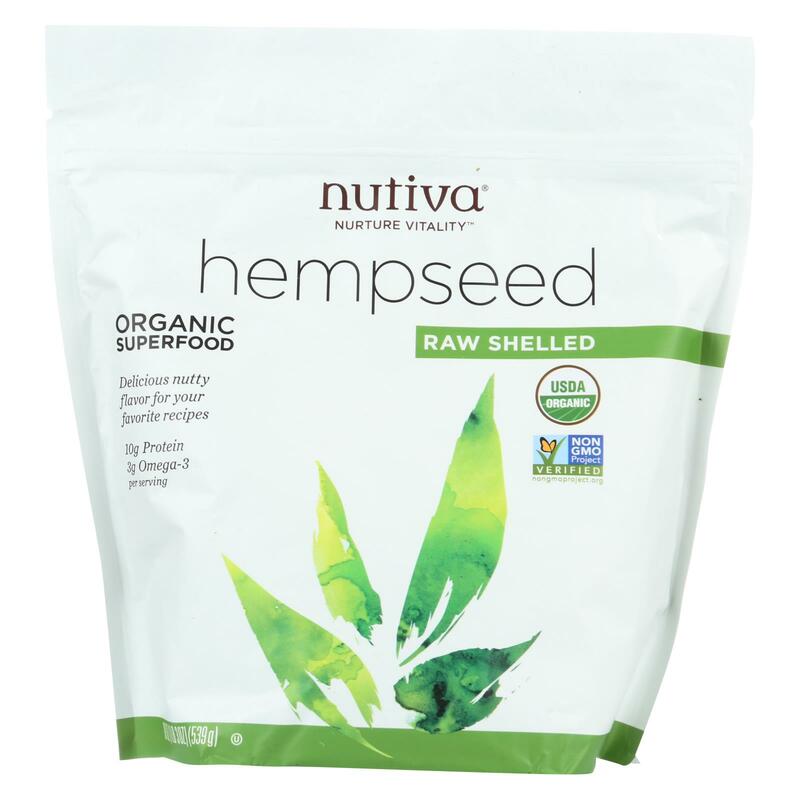 Storage: Keep Nutiva Organic Shelled Hempseed refrigerated or in the freezer and use within 8-12 weeks of opening. You can also store unopened Nutiva Organic Shelled Hempseed in a cool dry place. Social and environmental responsibility is a core part of Nutiva’s culture and business. From sourcing organic products, to obtaining fair trade certification, to greening our facilities and operations, to funding tree planting at schools in our local community, we are constantly seeking ways to better protect our environment and ensure a better quality of life for employees, customers, and the communities we serve. While many brands use harsh chemicals and non-organic coconuts to create MCT oil, we’ve crafted a patented USDA Certified Organic process to produce the world’s first certified organic MCT Oil. We only offer the highest quality organic and non-GMO products to our customers, and are committed to supporting our coconut suppliers in following sustainable farming practices. Upon harvest, the creamy white meat of the coconut is scooped from the shell by hand, then cold-pressed to create the Nutiva Organic Virgin Coconut Oil. 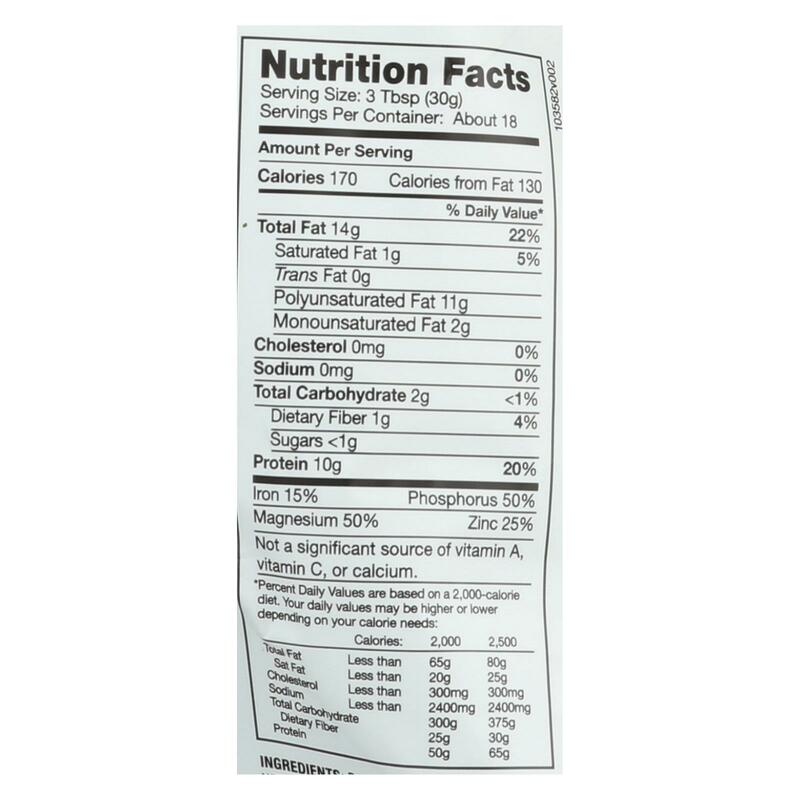 To create Nutiva Organic MCT Oil, we slowly chill the virgin coconut oil to separate the solid fats, leaving MCT Oil. To advance our mission to revolutionize the way the world eats, Nutiva launched the City Fruit Tree Initiative 5 years ago with nonprofit Common Vision. Since then the Nutiva Foundation has donated an orchard to every public elementary, middle, and high school (31 total) in our local community of Richmond, California. Grown on small organic family farms in Ecuador, our Red Palm Oil is certified Organic, Fair Trade, RSPO, and Non-GMO. We partner with Natural Habitats to ensure that no deforestation or habitat destruction results from the growing or harvesting process. Fair trade premiums serve the farming communities. Projects have included building a small health clinic, supporting a school, and providing sports uniforms for local youth. We support Palm Done Right, an international campaign to raise consumer awareness about palm grown for good. We support biodiversity, permaculture, seed diversity, composting, native planting, integrated pest management, conservation, small-scale organic farming, and the cessation of pesticide and herbicide use. We support GMO labeling and awareness, industrial hemp farming, fair trade, food justice, food sovereignty, reduction of food waste, and environmental leadership. Maintaining a zero waste headquarters and warehouse is a priority, and we’re committed to continuous improvement. Through our zero waste program, 95% of waste materials or 770 MT were diverted from the landfill in 2015 and either reused (33%) or recycled (62%). As part of our commitment to fight climate change, we initiated a new carbon offset program in 2015. Working with Pur Projet, we offset 2015 emissions from our chia farming and production (473 MT CO2e). For questions or to place international orders, please contact us through the live chat icon in the bottom right-hand corner of your screen. Before tax and after any promotional discounts to qualify. After processing in the United States (may vary based on order volume). Shipping outside of the U.S. is coming soon! Subscribe to our newsletter so we can let you know! © The Green Line Market 2018 All rights reserved. © The Green Line Market 2019 All rights reserved. Before tax and after any promotional dicounts to qualify. Orders can't be delivered to PO boxes. Determined by The GreenLine's shipping depratment. Shipping outside U.S. is coming soon!